A few MacRumors readers have taken to the forums to confirm that Apple has begun charging many users based out of the UK, Germany, and France who got in an Apple Watch pre-order early on April 10. The charges in the United Kingdom, Germany, and France come after customers in the United States yesterday began first experiencing charges taken from their debit or credit cards, followed by a change of order status from "Processing Items" to "Preparing for Shipment", for a select group of customers. As reported earlier yesterday, bulk shipments of Apple's new wearable began arriving at centralized distribution centers across the United States in preparation for the April 24 launch date this Friday. Despite the forward momentum of the news over the past day or so, there still has not been any change to the initial 4/24 - 5/8 delivery date estimate for all of the Apple Watch's early pre-order customers. Note to self: next time I think "I'll wait and see what people think about this new Apple product" just stop being stupid and order it at midnight. 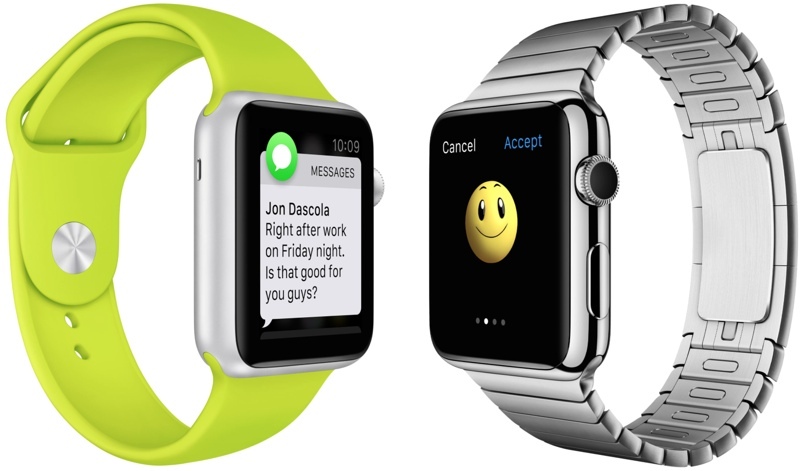 Weird because literally nobody with a 42mm stainless steel w/black sport band has changed status yet. My bank account just got lighter. No progress on the Apple order status though. It's so funny. Adults (me included) getting so hyped about money going out of our accounts. The exact opposite of normal. I've lost count of the number of times I've checked the Apple Store app and my bank account today. Still nothing. For those worrying about their order status not yet changing to 'preparing for shipping' (as I have been): I sent a message to Barclaycard to confirm what the pending charges were that weren't yet listed, and they confirmed it was £519 from the Apple Online Store (the price of my SS w/sport band watch). I've checked online, and Apple only process these pending charges when they're preparing an item for despatch, and they then fully charge the card as soon as the item has left them. Bottom line: if you have a pending charge for your watch - regardless of your current order status - I'm sure you'll get it on Friday. There's plenty of time for the order status to update to preparing and then shipped between now and then, it could even happen as late as Thursday since all UK orders will be shipped next-day anyway. It's put my mind at rest anyway...now here's to getting to Friday, what a long couple of weeks this has been!! Good news! Has that literally just changed over now? Maybe if I go to sleep for 72 hours everything will be ok. Meanwhile I am sitting here waiting for May to come! :rolleyes: :apple: gift cards made me be late by 3 minutes.